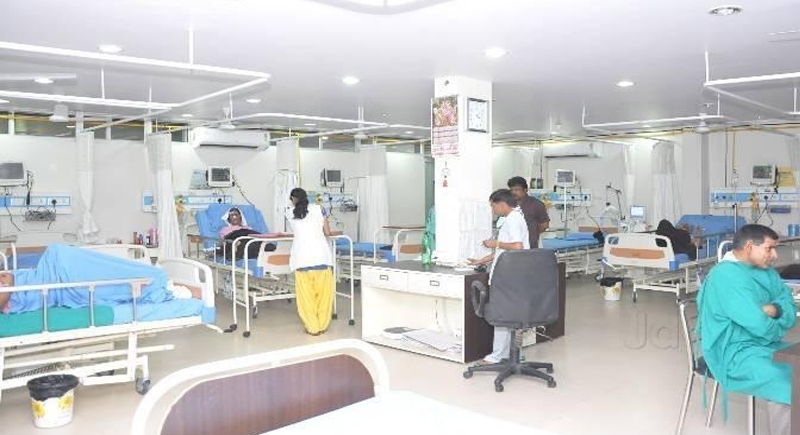 New Delhi, May 3: Jotting down list of improvements and new developments, the Modi cabinet in a new welcoming move has approved a proposal for establishing a 100 bedded hospital at Rural Health Training Centre (RHTC), Najafgarh, New Delhi. Union Minister of Health J P Nadda expressing gratitude towards this approval said that this would take the ambitious ‘SabkaSaath, SabkaVikas’ project. The approved project has been estimated with an amount of Rs 95 crore. The Project envisages setting up of the 100 bedded multi-specialty hospital in underserved area of Najafgarh in two years and will cater to the local population of 13.65 Lakh spread across 73 villages. Terming it historic, the Union Health Minister further said that the hospital will include four major clinical services in Medicine, Obstetrics &Gynecology, Pediatrics and Surgery, including a blood bank, separate Out Patient Departments (OPD) for General Medicine, Surgery, pediatric care and many other facilities. The Minister further added that the hospital will be well staffed with qualified manpower of more than 30 doctors and 40 nurses, apart from 50 Allied and Healthcare staff. It is estimated that the 100 bedded general hospitals would be made fully operational by May 2020 along with all departments and requisite human resources. Enabling this would give a boost to the idea of generating employment in the faculty and non faculty post in hospitals. This would also help the people as they would get a nearby healthcare facility.